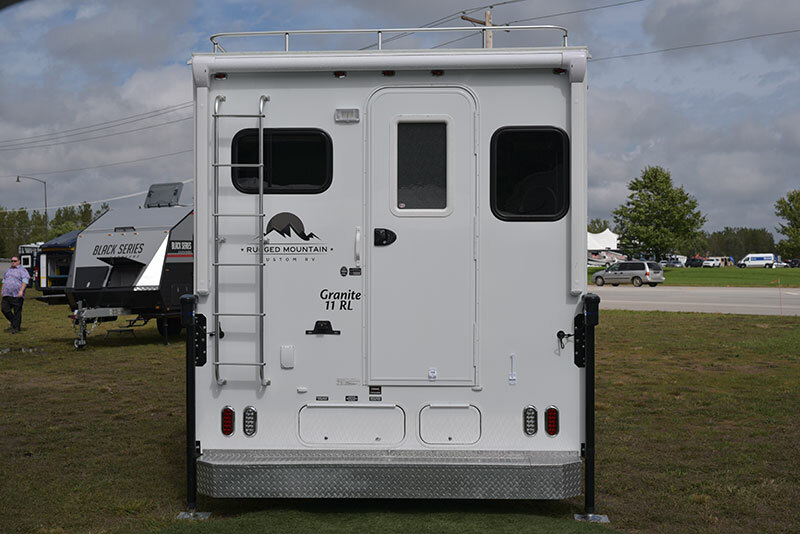 Rugged Mountain debuted their updated and refined 2019 Granite 11RL at the Elkhart Open House in Indiana. The 11RL was a huge hit with media and dealers at the annual event, and not just with the truck camper devoted. Could this be 2018’s ‘RV of the Year’? 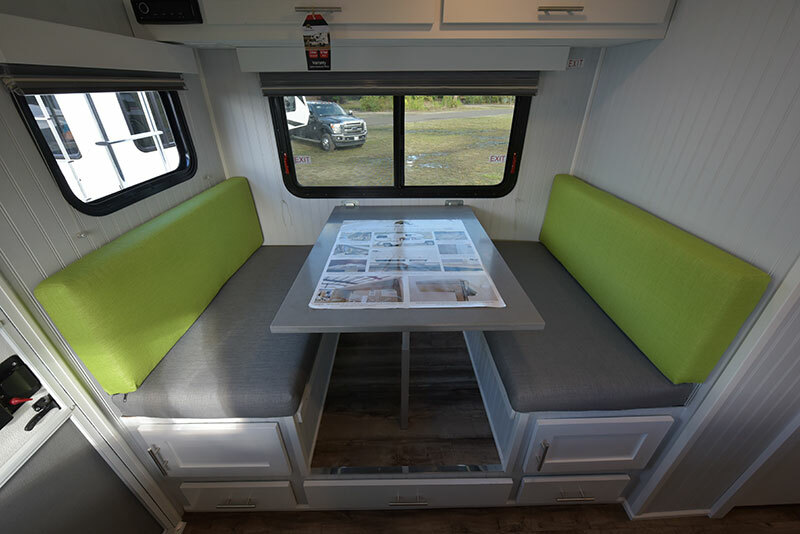 We were approached by not one, not two, but three major RV journalists during the 2018 Elkhart Open House who confided to us that the Rugged Mountain Granite 11RL was one of the most exciting RVs they saw at the show. That’s really something considering these folks were also looking at Class A motorhomes, luxury fifth-wheels, and everything else on display from hundreds of manufactures and brands. When I went to take photographs of the 11RL for Truck Camper Magazine, two other RV media photographers stopped by to capture the unit. It was thrilling to see a truck camper generate that type of interest and excitement. So what caught the media’s attention? 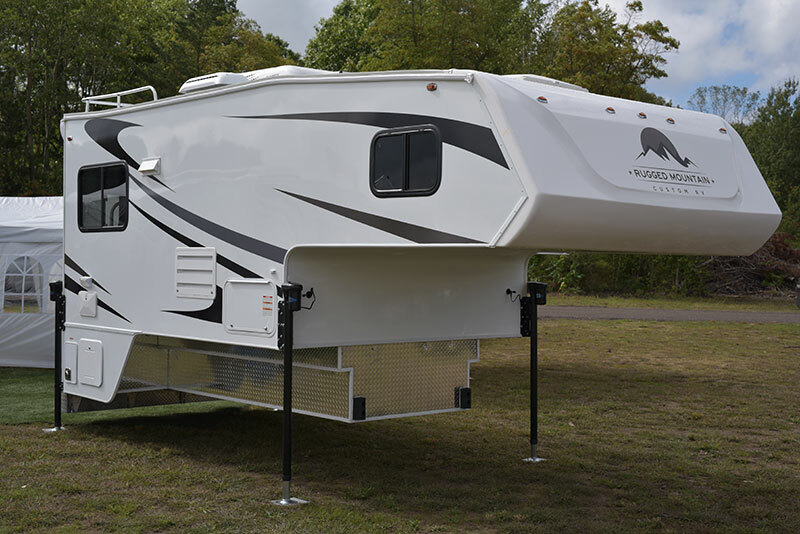 The Granite 11RL’s ground-breaking tiny house look. Keep in mind that these journalists had never seen or heard of the 11RL before. We dry camped in our truck camper rig about a hundred feet from the Rugged Mountain RV booth in a display row that included nuCamp/Cirrus and Travel Lite. 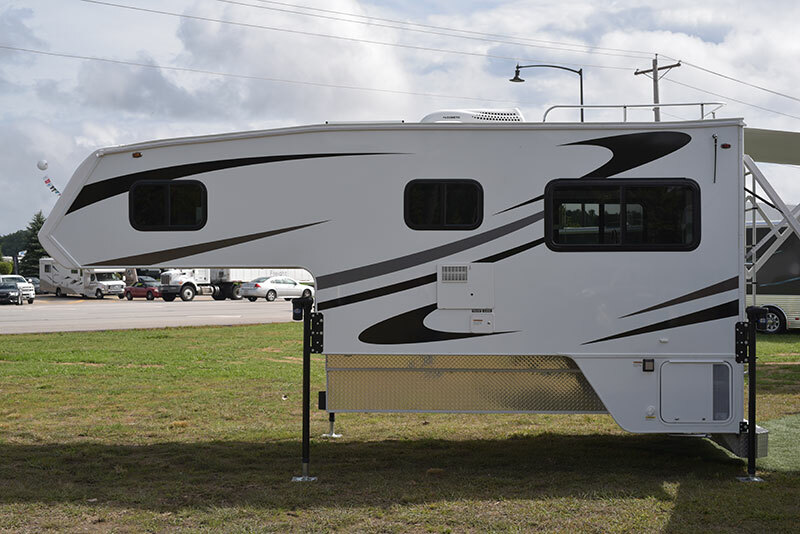 Jesse Collinsworth, Owner of Rugged Mountain RV, was also dry camping in his personal Granite 11RL. You read that right. 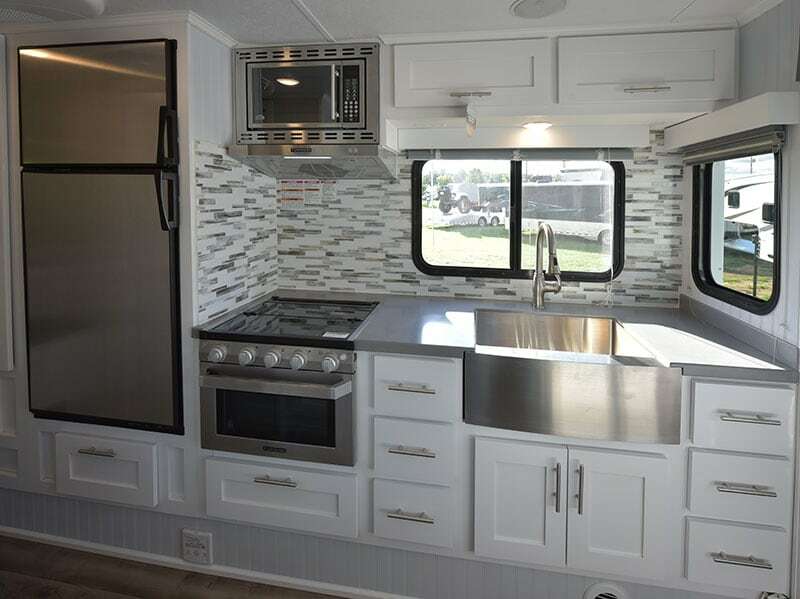 The Owner of Rugged Mountain RV actually goes truck camping, actually owns one of his company’s campers, and actually uses it – even when he works events. He could have stayed in a hotel in Elkhart like the majority of industry representatives, but he told us, “I’d prefer to stay in my camper”. Yeah, we get that. Most of the updates in the 2019 Granite 11RL are based on Jesse’s personal experiences camping in his Granite 11RL with his wife and daughter. He had story after story of, “This (design element) made me nuts in my personal Granite 11RL so I changed it on the production model.” We love stories like that and wish more industry decision makers would really camp in their products. To create additional dinette storage, the furnace has been moved from the driver’s side to the passenger’s side. Jesse also alluded to some additional dinette possibilities this move allowed for, but was mum on details. When we saw the prototype, I sat on the dry bath throne to check the leg and side-to-side arm room. This is something I recommend to everyone who is considering a truck camper purchase. While you’re at it, stand in the shower, too. The 11RL prototype bath had excellent leg room, but was tight in the arm department. 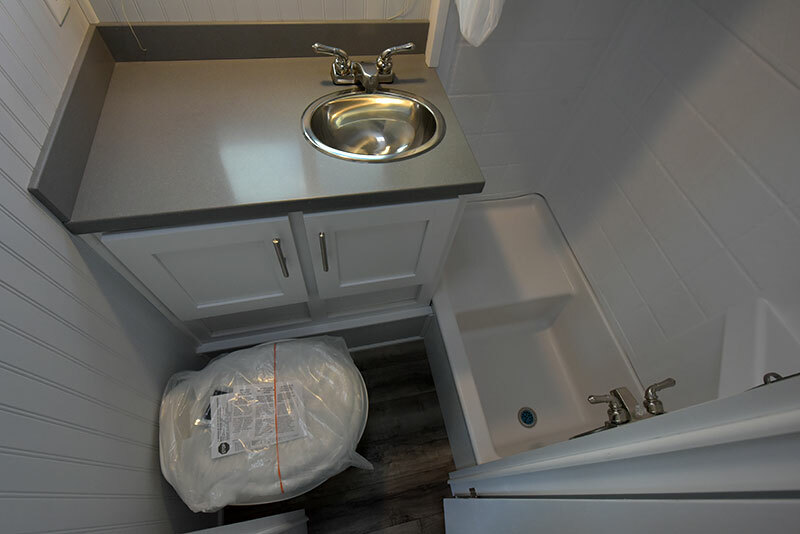 Jesse agreed and redesigned the bathroom counter and sink to create an additional two-inches of arm space. Two-inches may not sound like much, but it made all the difference on the production unit.